Communication about ‘the environment’ in and through a broad array of news, advertising, art and entertainment media is one of the major sources of public and political understanding of definitions, issues and problems associated with the environment. Environment, Media and Communication examines the social, cultural and political roles of the media as a public arena for images, representations, definitions and controversy regarding the environment. The book starts by discussing and outlining a framework for analyzing media and communication roles in the emergence of the environment and environmental problems as issues for public and political concern. 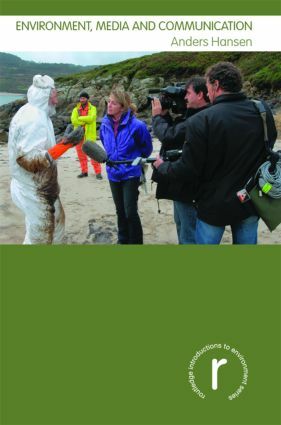 It proceeds to examine who and what drives the public agenda on environmental issues, addressing questions about how governments, scientists, experts, pressure groups and other stakeholders have sought to use traditional as well as newer media for promoting their definitions of the key issues. The media are not merely an open public arena or stage, but rather themselves a key gate-keeper and influence in the process of communicating about the environment: the role of news values, organizational arrangements and professional practices, are thus examined next. Recognizing the importance of wider popular culture narratives to public understanding and communication about the environment and nature, the book proceeds with a discussion of the messages and moral tales communicated about the environment, science and nature in a range of media, including film and advertising media. It shows how this wider context provides important clues to understanding the successes and failures of selected environmental issues or campaigns. The book finishes with an examination of the key approaches and models used for understanding how the media influence and interact with public opinion and political decision-making on environmental issues.